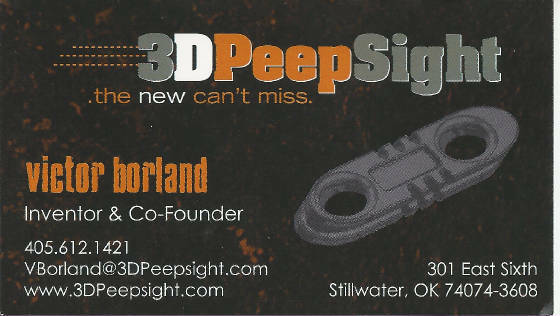 April’s Great Oklahoma Classic belongs to Gary Hoover of Perkins Oklahoma. 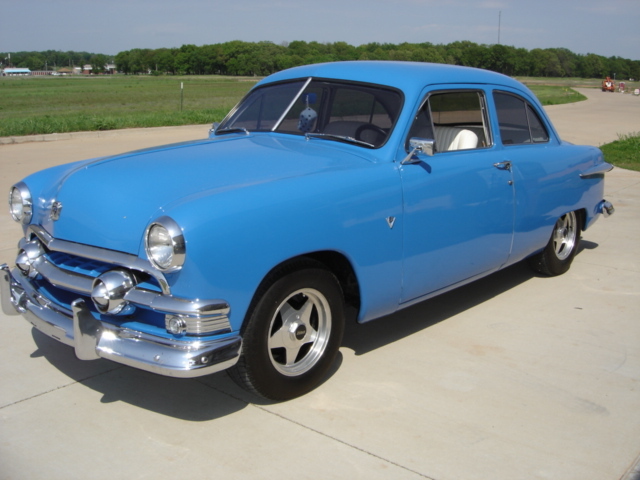 Gary has always been a Ford truck guy and recently purchased this classic 1951 Ford Tudor Custom from long time friend Larry Oswalt of Sand Springs, Oklahoma. Larry and his wife Shar had the Ford Tudor for over twelve years. 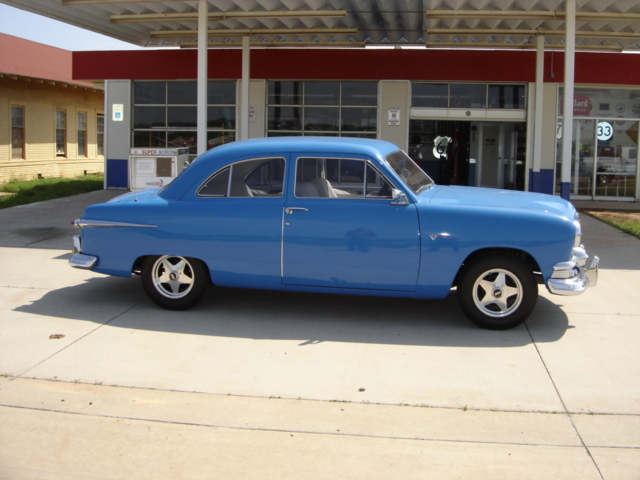 The 51 Ford Tudor, as you can see, has been painted PPG Fleet Blue. The paint job is approximately fifteen years old. All of the original chrome is still looking good on this classic Ford. 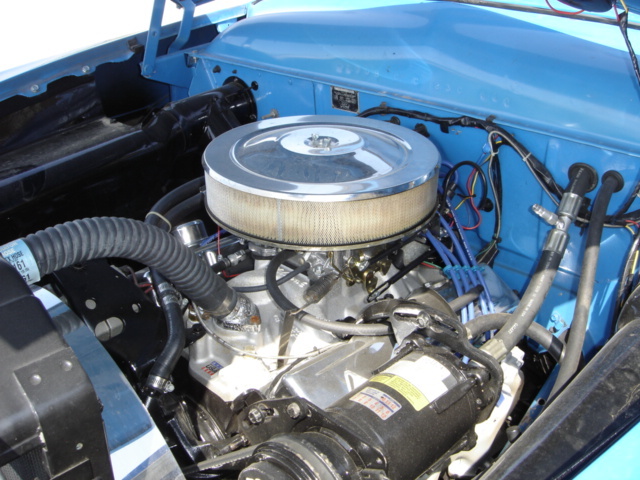 The engine is a GM 305 V8 with Edelbrock Performance intake manifold, Edelbrock four barrel carburetor, Comp Cam, lifters and valve springs. To keep the 305 V8 nice and cool during the hot Oklahoma summers an extra capacity radiator along with transmission cool has replace the original equipment. The transmission is a Turbo 350 with a 2.73 ratio third member for very nice highway rpms. 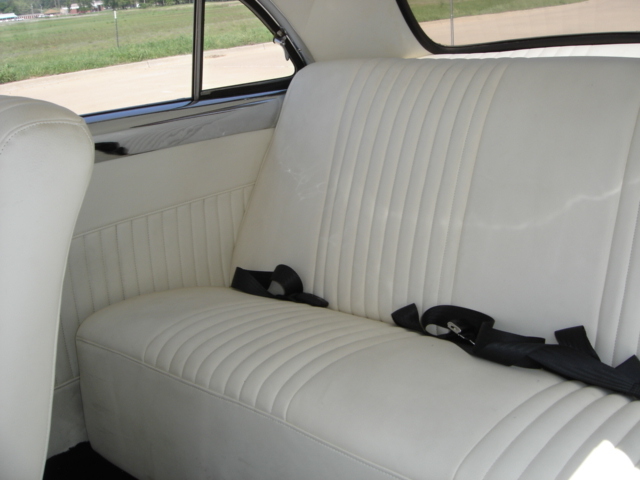 The interior by Robert’s Auto Upholstery has custom white Mustang bucket seats, black carpet, custom stereo console with floor mounted shifter and console. The old Tudor has under dash air conditioning, Grant GT steering wheel, Audio Enhancers of Sand Springs installed the remote controlled Kenwood Sirius Satellite Radio System. 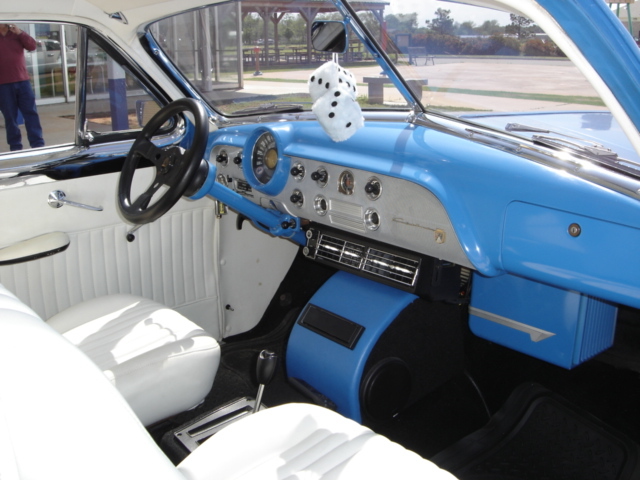 The dash is classic Ford with a set of added under dash gages. 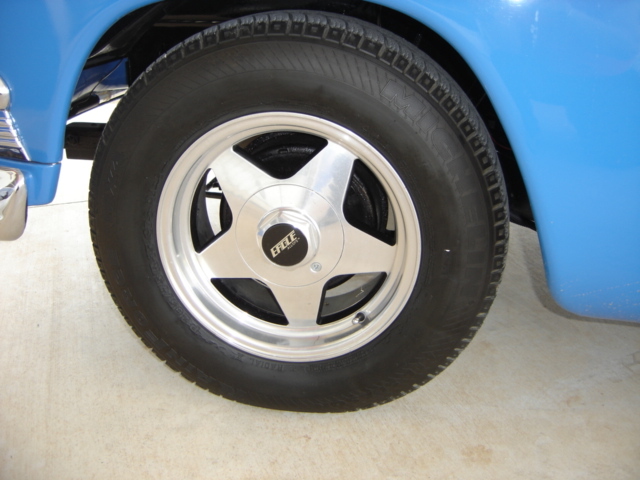 The 1951 Ford Tudor has Eagle Alloy wheels with Michelin P205/75R 15 tires from Cecil and Son’s Discount Tires, Sand Springs. No custom is complete without dual exhausts with stainless tips. 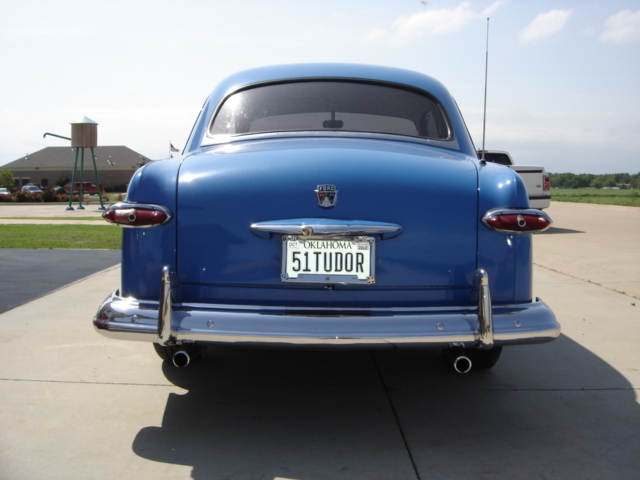 For an added custom touch the old Tudor has ground effect lighting for that cool blue late night cruising. 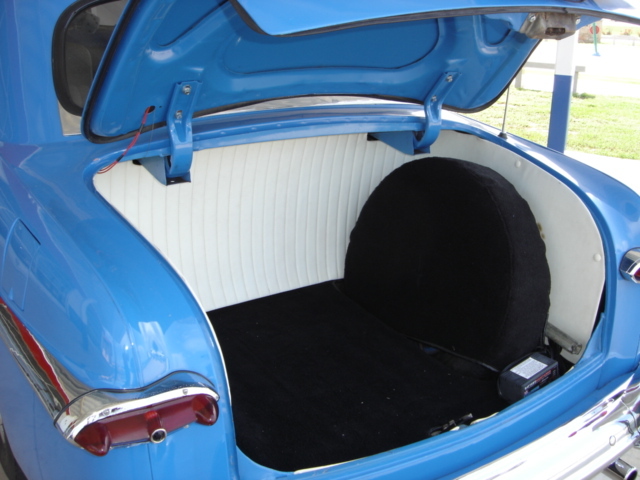 The trunk was not over looked when customizing the Ford Tudor and is complete with white pleated trim, black carpet and black spare tire cover. 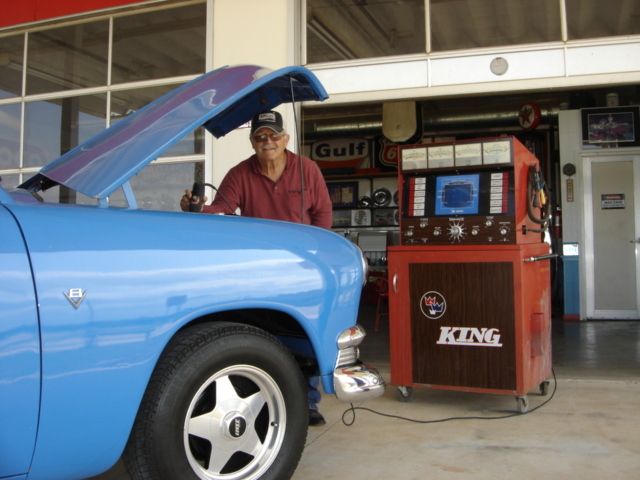 Here we find Gary giving the Tudor a tune up using the old King Engine Analyzer at the Cimarron Starlite Cruisers renovation project, a 1957 three bay gasoline service station. 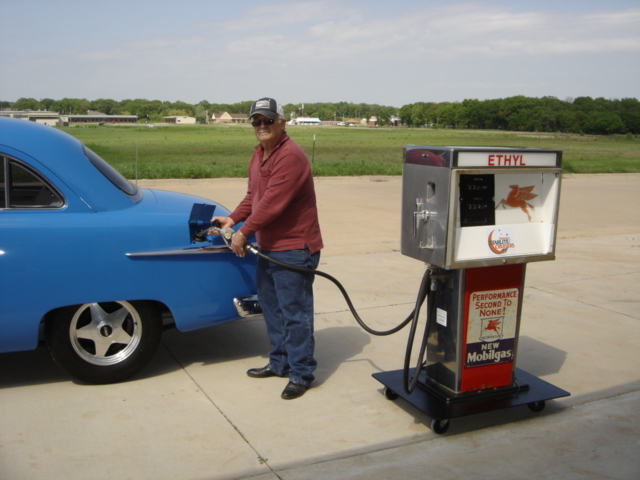 The 1951 Ford Tudor should be running fine with a fill up of Mobil Ethyl! 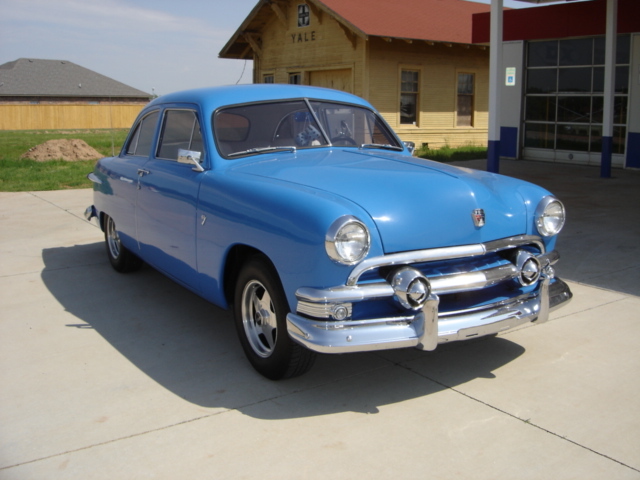 The Cimarron Starlite Cruisers sincerely appreciate Gary Hoover for sharing his 1951 Ford Tudor Custom as our Great Oklahoma Classic for April 2012! The Cimarron Starlite Cruisers request everyone to keep Larry and Shar Oswalt in your prayers.